With so much to see and do in the Bryson City area, it is hard to imagine a day when you might have nowhere to go. But should that happen, there is always The Road to Nowhere, a scenic mountain highway that takes you six miles into the Great Smoky Mountains National Park and ends at the mouth of a tunnel. On the map, it is called Lakeview Drive, but to the citizens of Swain County it is The Road to Nowhere — A Broken Promise. Lakeview Drive is a beautiful drive or strenuous bike ride – particularly in the Fall. 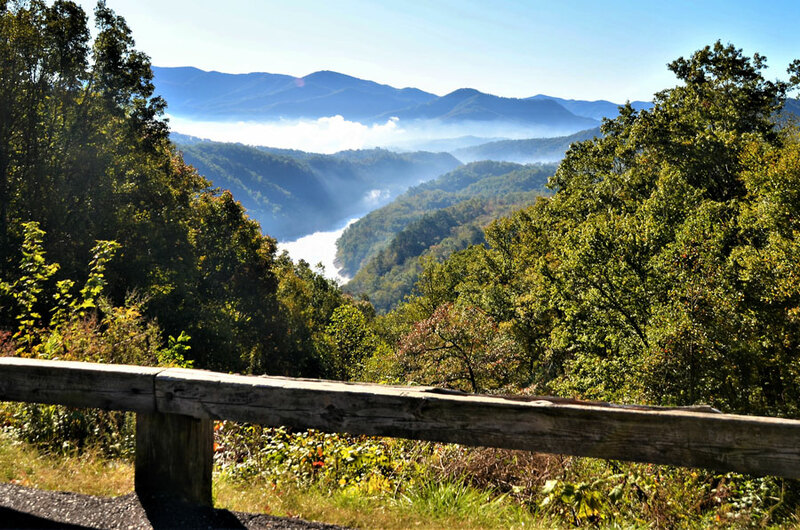 It provides an overlook of Fontana Lake and access to a number of hiking trails. Noland Creek Trail is about a half-mile before the tunnel at the end of the road. Walking through the tunnel takes you to Goldmine Loop, Forney Creek, Lakeshore Trail and other connecting trails. There is a tunnel bypass trail. 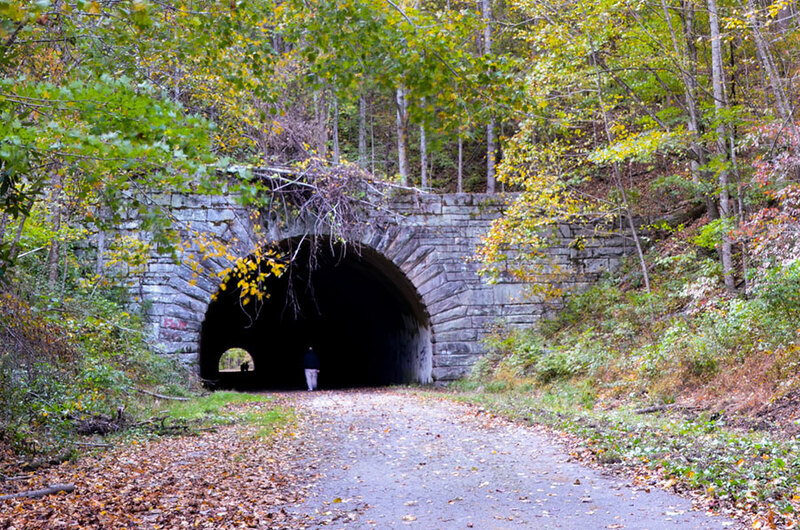 If you plan to walk through the tunnel you might want a flashlight; and be aware horseback riders use the tunnel. The Federal government promised to replace Highway 288 with a new road. Lakeview Drive was to have stretched along the north shore of Fontana Lake, from Bryson City to Fontana, 30 miles to the west. And, of special importance to those displaced residents, it was to have provided access to the old family cemeteries where generations of ancestors remained behind. On weekends throughout the summer, the Park Service still ferries groups of Swain County residents across Fontana Lake to visit their old family cemeteries for Decoration Days and family reunions. The legal issue of whether to build the road was finally resolved in February, 2010 when the US Department of Interior signed a settlement agreement to pay Swain County $52 million in lieu of building the road. In 2018, the last payment was made in the settlement. The State of North Carolina manages the principal and the County receives the interest each year. Download pdf brochure with directions to the Road To Nowhere, hiking trails, Decoration Days and even more information.